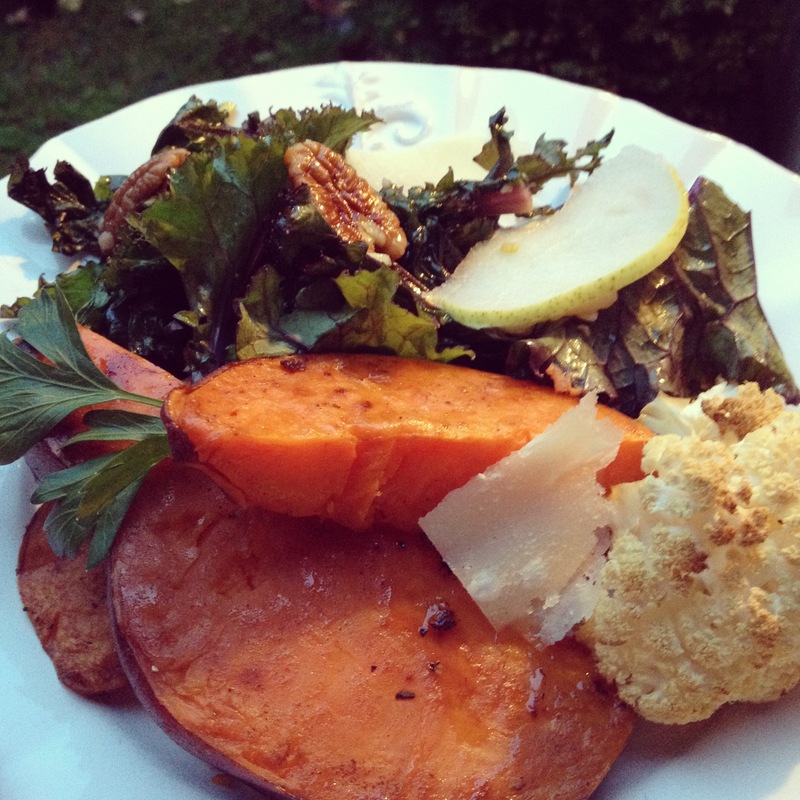 A vegetable medley: roasted sweet potatoes, sauteed kale with pears and pecans, and roasted cauliflower. 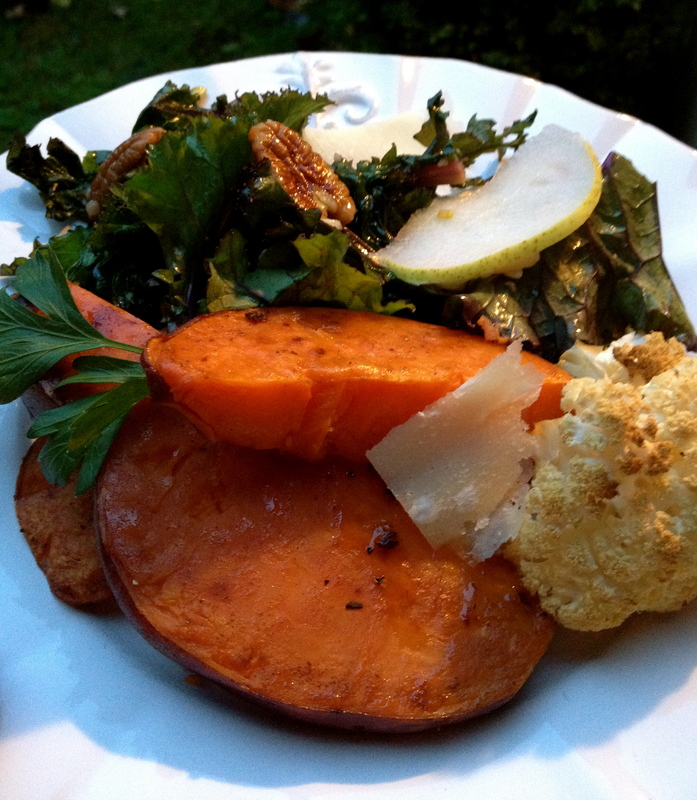 A few nights a week, I find that a plate full of vegetables is more than enough dinner for me. Sweet potato chunks are especially filling, and when baked with a little bit of olive oil, pepper, and cinnamon, they smell and taste like dessert. I also love baked cauliflower; the outside turns brown and almost crisp while the florets become tender; comfort food made healthy. 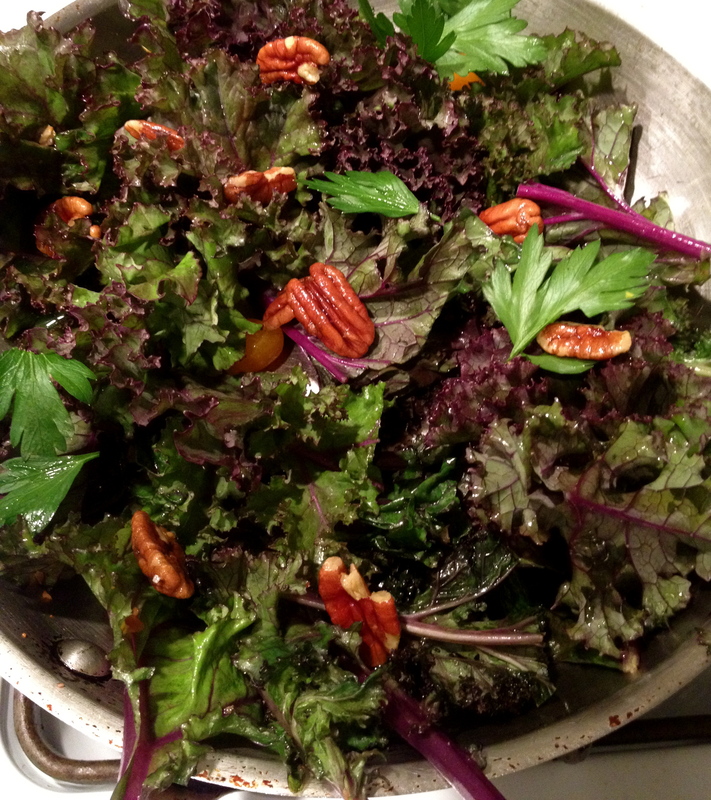 A quick kale saute and dinner is finito. 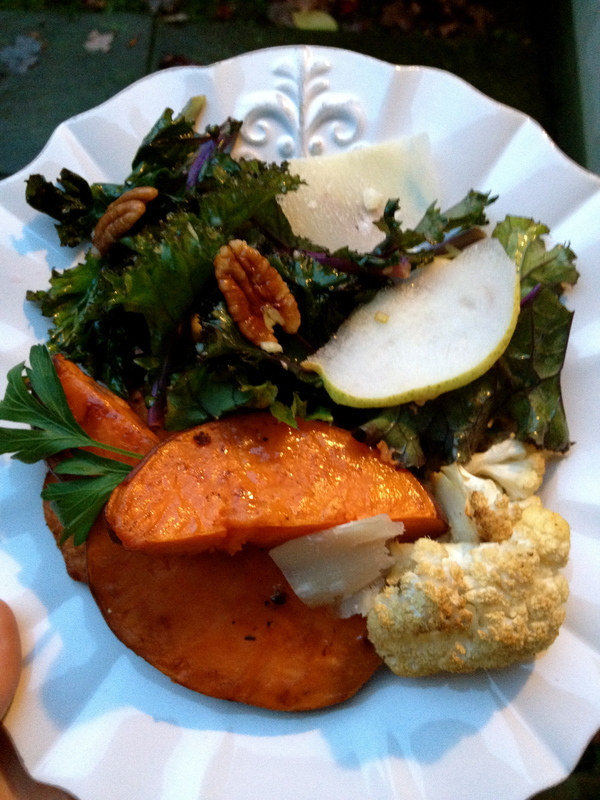 The sweets and cauli can be prepared ahead and stored in the fridge for ready-made sides for the rest of the week. 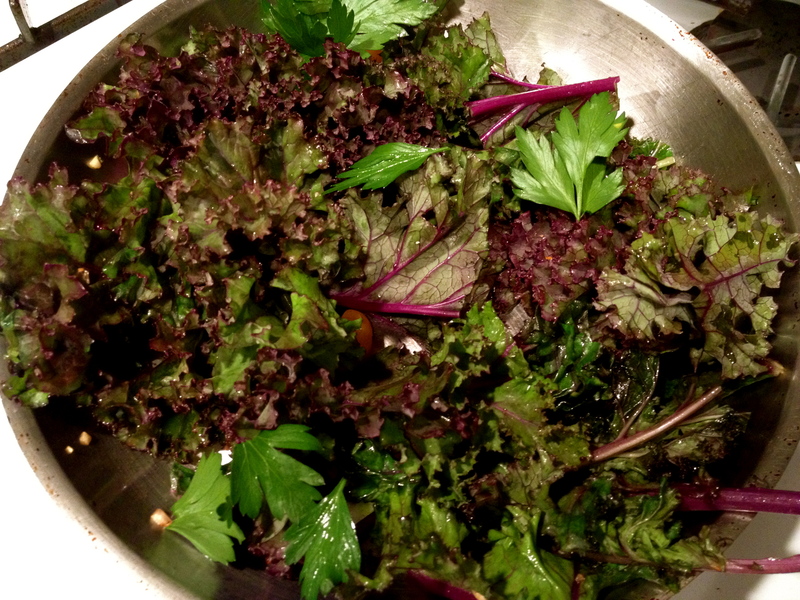 Lightly saute the kale in a little bit of olive oil with a grinding of pepper and a sprinkling of parsley. I added a few pecans to have a variety of textures. 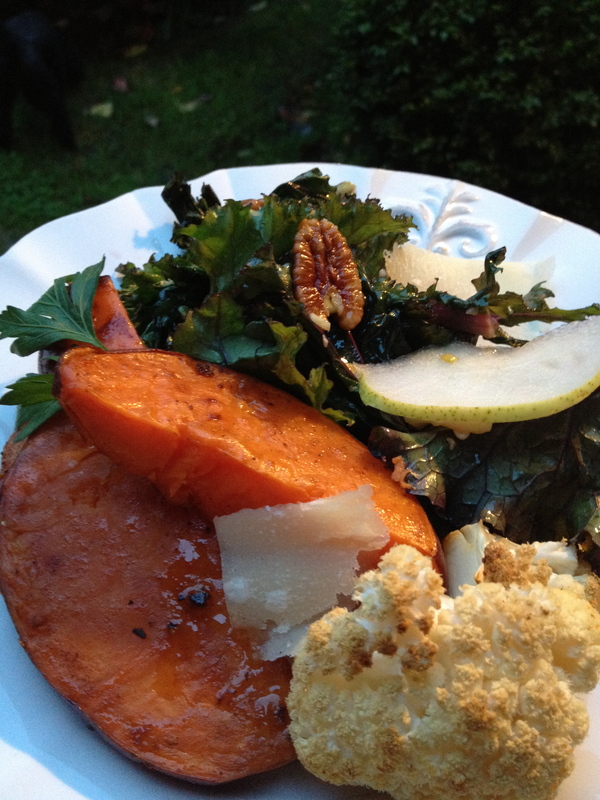 Served with a few thin slices of pear and shards of parmigiano. I splashed the sweet potato wedges with olive oil, sprinkled with salt, pepper, cinnamon, and a pinch of nutmeg, and I baked the cauliflower separately; also with olive oil, salt, and pepper.